This is a beautiful yellow/cream Tea rose. The buds are golden apricot and the new growth is a purple/red color. It has a strong Tea fragrance. 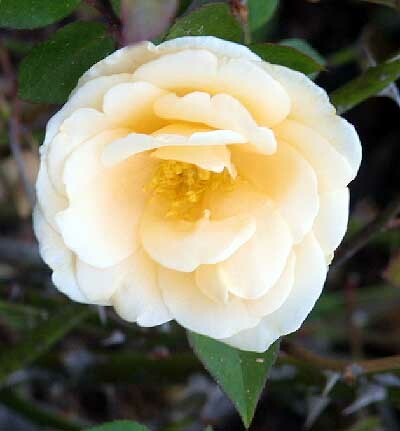 `Lady Hillingdon' will grow to about 4'.